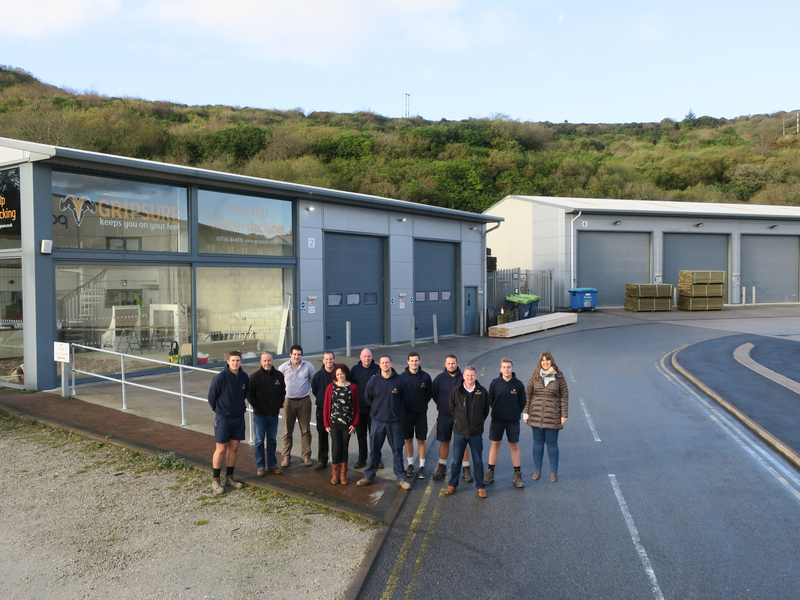 A Cornish decking company has expanded its production space to meet growing demand from UK and international customers. Gripsure has created a new production facility that is one-and-a-half times the size of its previous space at its premises at Rockhill Business Park in Bugle. Expanding into premises next door and redesigning the space has enabled the manufacturer to improve its productivity and efficiency. The expansion has also created more office space to accommodate the firm’s growing team and additional storage. The expansion has been completed as Gripsure announces a 25% turnover increase over the last 12 months, making it one of the UK’s leading manufacturers of non slip decking. MD Mike Nicholson said: “We are increasingly handling bigger orders for large customers so expanding our production space was essential. Growing and redesigning our space will help ensure we are as productive as possible and can continue to deliver outstanding customer service.